Pssst….buddy, wanna get lit? I’ve got some quality daylight. All photons and no refraction. First one’s free. As it turns out, the primordial world was a pretty dark place as the gods and personified forces of nature were “Bogarting” all the illumination. One curiously consistent cross-cultural myth that emerged as a result is that human civilization began with a felony – the theft of daylight, prior to which we were all stumbling about bumping into things. Obviously opossum, raccoons, and other nocturnal critters were still in the running for the dominant species, since they were likely better suited to an unlit world. But us humans are a competitive lot. We’re not about to let some hopped-up, prehensile-tailed marsupial that tastes good in pie get the better of us, no sir. Thus, one of the first things our mythological culture heroes need to do is shine a little light on the subject, and to do so they have to figure out where they stash the daylight, and put together an Ocean’s 11 style caper to spread the wealth. From Gnostics to Native Americans to Finns, everybody wanted to get in on this action, see, and as one whose night-vision is rapidly fading with age, I want to make sure that these defenders of the diurnal get their props. Let us bow our heads to just a few exemplary Robin Hoods of radiance – Raven, Coyote, and Eagle (numerous Native American tribes), Indra of the Vedas, Ukko of the Finns, and Petura of the South American Tapirape – and light a candle for the countless other heroes across many a mythos (Prometheus, et al.) for services rendered to humanity. The ubiquity of the idea that primordial man stole daylight from the gods among native North Americans makes it a good place to start. The identity of the culprit varies, but the notion that somebody was keeping a tight lid on the whole “utility of being able to see where you’re walking” thing, and that crafty tricksters needed to devise a scheme to liberate some light stretches from the northern reaches of Alaska all the way to Mexico. Coyote and Raven are often regarded as tricksters, but across many Native American mythologies they are clearly also either the progenitors/creators of the human race, or big advocates for us. I mean, they like a good joke, but they’re really rather fond of us. The story of the theft of light is especially common among the tribes of the American and Canadian Pacific Northwest, and in their particular variations, a monster has hold of daylight, and some brave and cunning supernatural critter like Raven or Coyote devises a convoluted plan (oddly, often involving being swallowed by somebody), escaping with the daylight to share with the human race. The Theft of Light occurs all over America, but is most persistent as a legend on the Pacific Coast. The earth is in complete darkness, but the Culture Hero hears a rumor that a certain monster has in his possession a vessel or basket containing light. Usually in his animal form, and frequently accompanied by helpers, he goes to the monster’s house and succeeds in stealing the light. On his return he releases it so that it scatters over the earth. Details of the way in which the theft is accomplished vary a good deal from place to place, but in all the stories the monster’s attention is drawn away while the light is stolen. One method of accomplishing this is so extraordinary that it shows rather conclusively by its presence all over America that these tales of the Theft of Light form a real traditional unit. The Culture Hero turns himself into a stick, or otherwise transforms himself, so that he is swallowed by the ogre’s daughter and reborn. As the young child of the house he runs away with the light (Thompson, 1946, p316). The Northern Athabascan Tahltan people (from the region around British Columbia) attribute this feat to the machinations of Raven, who engineers an escapade to pilfer daylight from the miserly monster “Daylight Man” and his family. At this time there was no daylight, or sun, moon, or stars. Raven went to a village and asked the people if they could see anything. They said, “No, but one man has daylight, which he keeps in a box in his house. When he takes off the lid, there is a bright light in his house.” The people could not work much, for it was night continually. 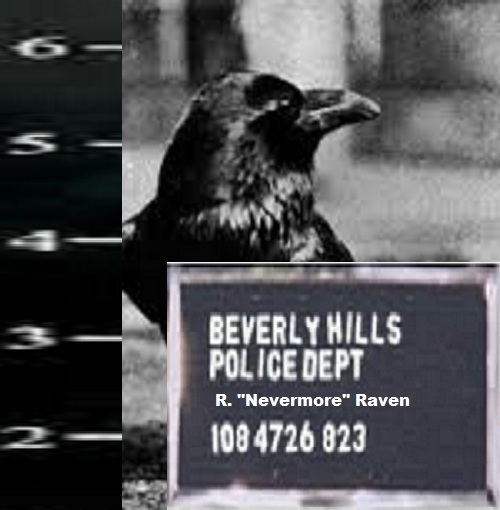 Raven found out where Daylight-Man lived and went to his house. The man also had control of the sun, moon, and stars. Raven went into the house and came out again. He planned what to do to get daylight for himself and the people. Daylight-Man had many slaves, and a daughter who had been a woman for three years. However, she was still undergoing the ceremonies girls undergo at puberty. She lived apart in the corner of the house, in a room of her own, and was closely watched. She drank out of a white bucket every day, and she always examined the water before drinking to see if there was anything in it. Slaves always brought the water to her. Raven changed himself into a cedar leaf in the bucket of water the slave was bringing. The girl noticed it before drinking and threw it out. Raven assumed his natural form again. The next day he transformed himself into a very small cedar leaf and hid in the water. The girl looked in the water, and seeing nothing she drank it all and thus swallowed Raven. The following month she did not menstruate. After three months she began to swell. Her mother noticed this and asked her if she was still not menstruating. She said she had not menstruated for three months. Her mother said, “You are pregnant; you have been with a man.” Her parents questioned her, but she denied that a man had been with her. They did not see how she could have been made pregnant, as she had been so closely watched. After nine months she produced a son. The parents said they would rear the boy and acknowledge him as their grandson, even if he had no father. They said, if she told who the father of the child was, they would agree that he marry their daughter. They would treat their son-in-law well, and all would be well. But she continued to say that she had seen no man. The boy grew very fast and soon was able to walk and talk. His grandfather loved him dearly. One day he cried very much and wanted to be allowed to play with the moon. His grandfather ordered the moon to be taken and given to him. The boy was pleased and played with the moon until he was tired. Then, they hung it up again. After a while he got tired of the moon and cried much, saying that he wanted the sun. It was given to him and he played with it till he was tired; then he gave it back, and the people hung it up again. After a while he became tired of the sun and called for the Big Dipper. They allowed him to play with these things whenever he wanted. After a long time, when he felt strong, he cried for the daylight. His grandfather was afraid to give it to him, because it shed so much light. Also, whenever it was lifted up, the sun, moon, and stars, and everything worked in unison with it. It was their chief. At last, however, the boy was allowed to play with daylight. But his grandfather was uneasy when he did. When the boy lifted up daylight, much light would come, and the higher he held it the brighter became the daylight. On occasions when the boy held the daylight high, the old man would say, “Eh, eh!” as if he were hurt or extremely anxious. The boy balanced daylight on his hands to get used to carrying it. At last, he felt strong enough for the feat he intended to perform. He put two of the toys in each hand and balanced them. He felt he could carry them easily. Then, at a moment when the people weren’t watching, he flew out of the smoke-hole with them. He threw daylight away, saying, “From now on there shall be daylight, and people will be able to see and work and travel. After dawn the sun will rise, and when it sets night will come. People will then rest and sleep, for it will not be easy to work and travel. Then the Dipper and the moon will go out and give light. These things shall never again belong to one man, nor be locked up in one place. They shall be for all people”. He threw daylight to the north, the sun to the east, the moon to the west, and the Dipper to the south. Since then, people and game rise with daylight and go to sleep with nightfall (Coffin, 1961, 222-24). The Zuni are a Native American Pueblo people that have inhabited what is the American Southwest (Arizona, New Mexico, Utah, southern Colorado) for nearly 4000 years. Interestingly, the Zuni language has been a language isolate for at least 7000 years, without much relationship (some borrowed Hopi words) to other Native American languages, therefore it would be odd to assume any significant influence of Pacific Northwestern native culture on Zuni mythology, yet the Zuni assign very nearly the same role in stealing daylight to Coyote that the Athabascans do to Raven. Rather than “Daylight Man”, Coyote and his partner in crime (the ever-annoying Eagle) have to secure daylight from the Katchina, which by my reading were never actually worshipped as deities, but represented more of a powerful spiritual mafia cornering the market on all sorts of natural forces. Long ago when the earth was soft Coyote was living at Omakwena. He was always hunting and he could not get anything. One day he was hunting rabbits and Eagle was killing lots of jackrabbits. Coyote killed nothing but grasshoppers. Coyote said to Eagle, “My dear friend, we ought to hunt together.” “All right.” Coyote and Eagle went hunting together. Coyote never killed anything. One day Coyote said, “My friend, it is dark and I can’t see anything.”1 Eagle said, “That is true. Let’s go west, perhaps we shall find light.” They went towards the west looking for the sun and moon. They went a long way and they came to a broad river. Eagle flew right across it but Coyote could not fly. He stood on the bank of the wide river. Eagle flew back and Coyote said to him, “How shall I get across the river?” “You must fly across the way I do.” Coyote could not swim. He sweated all over; his eyes were bulging and the current carried him way down stream. He got a foothold on a mud bank and waded out. He was shaking as if he had ague. The eagle said, “Why didn’t you fly across? You’ve got hair.” “But I can’t fly with hair.” Eagle said, “I can fly with mine. Let your hair grow like mine and you can fly.” Coyote said, “I can’t do that.” They still went on to the west and they got to Kachina Village. All the kachinas were dancing. Eagle and Coyote went in and Pautiwa made them sit down. They stayed and watched the dance. All the time they were looking for the sun. The kachinas had a square box and when they wanted light they opened it and it was daylight. When they wanted less light they opened another box and there was the moon. They danced and danced. They made a big fire and all the people danced around it and they had a good time. When the dance was over they went home. Coyote said to Eagle, “Now we can steal that box.” Eagle said, “I f we do that we shall be doing wrong. We had better just borrow it.” They took up the box with the sun and Eagle carried it. They went up out of the lake and went back towards the east (Benedict, 1935, p16-17). Now the Finnish are a socially conscious folk, so it would not befit them to simply make off with ill-gotten gains. Thus, daylight is first stolen by a powerful shape-changing witch queen named Louhi (opinions vary, but she may also have been the daughter of Tuoni, the Finnish god of death. She was fairly unpopular since she was reputed to have been impregnated by the wind, giving birth to nine sons, tellingly named “The Nine Diseases”. Their individual names were Pistos (consumption), Ähky (colic), Luuvalo (gout), Riisi (rickets), Paise (ulcer), Rupi (scab), Syöjä (cancer), Rutto (plague), and an unnamed ninth warlock who personified envy. A 19th Century compilation preserving Finnish oral traditions in the form of an epic poem called the Kalevala notes that once Louhi stole daylight and plunged the world into darkness, a sky god name Ukko had to figure out a way to bring back the light to Scandanavia. And the cabins full of darkness. Darkness in the home of Ukko. When the Sun and Moon desert him. Why has disappeared the moonlight. Looking for the silver sunshine. That a second sun might follow. The Tapirape are an indigenous Brazilian tribe that miraculously managed to survive the European conquest, mostly by staying out of contact until roughly 1910 A.D., and then only sporadically until 1950. An important mythological figure is the hero Petura, credited with stealing light from a bunch of buzzards and bringing it back to the tribe. Nobody likes a buzzard. Among the various Tapirape heroes are Apuwenonu and Petura. The former descended from heaven and lived with the Tapirape. He taught them to plant and harvest cotton, manioc, and maize. When he was old, Apuwenonu returned to heaven and changed himself into a star. Petura stole fire from the buzzards and brought light to the Tapirape, who until then had not seen day. It is also told of Petura that he stole hatchets and knives from the emu and gave them to the Tapirape (Steward, 1946, p178). Ancient Vedic literature is comfortably allegorical, but more or less follows the same pattern. Daylight is a lovely young woman named Usas, who after suffering all manner of indignities gets locked away by her family in a cave, plunging the world into darkness. Indra, the leader of the Devas goes for the classic misdirection move, and while Usas jailers are confused, manages to batter down the locked door to the cave where she is imprisoned, and the world gets to see its first dawn. Its classical Indo-European form is found in the Vedic literature of oldest India, from the vedic hymns onwards. According to these poems that are meant for praise of the gods, the early morning sun, is regarded as a beautiful young woman (Usas “Dawn”) who heralds the rising of the sun. One of the most prominent myths connected with Usas as is that of a “first” Usas as who – for reasons to be further detailed below – was hidden in a cave found on an island in the middle of the stream, the Rasa, at the end of the world. The cave is opened by the strong warrior god Indra, who is accompanied by poets and singers, the Angiras. They recite, sing, shout, and make a lot of noise outside the cave that is blocked by a robust lock (phaliga). The ‘strong-armed’ (tuvi-gråbha, ugra-båhu) god Indra smashes the gate with his weapon (vajra). He is helped by the recitations and the noise made by his Angiras friends. Helped by their various combined efforts, he opens the cave and the “first dawn” emerges, illuminating the whole world (Witzel, 2005, p4). Of course, like many mythological motifs, there are a few downsides to spreading the light all over the world, so that we can finally see. Dating became a lot more difficult, since you had to have both looks and personality. It’s a lot easier to be a dreamboat in the dark. We turned out to be a lot uglier on average than most of us imagined (at least according to some traditions). Our diet probably got a whole lot more varied and nutritious, what with the newfound ability to grow and eat leafy greens. Before we stole daylight, we can probably assume mushrooms were big. In many myths, particularly in some from the Indians of the northwest coast of North America, the occurrence of day is made possible by opening the box or other receptacle in which the light is confined, and letting it out. This feat, performed by cunning and stealth, is often one of the great achievements of the tribal heroes and demi-gods, e. g., the raven, who figures prominently in this regard. Like the stealing of fire, the theft of light is a prime motif in every quarter of the globe. Sometimes sun, moon, stars, and light in general are separately or successively obtained for man from witches, demons, deities. And the myth of their origin is often very complicated. In some legends, the oncoming of day has a remarkable effect on the men of the primitive world. Thus, in a legend of the Tlingit Indians we read: “When it became day and the men on earth saw each other, they all ran away from one another. Some turned into fish, others into bears and wolves, others again into birds. And in this manner arose all the various kinds of animals” (Chamberlain, 1908, p38). If you want to be all pedantic you could point out that the theft of daylight is an obvious metaphor for the dawn of civilization, when we ostensibly went from being brutish, hairless apes trying not to get eaten by tigers to crop-growing, sheep-herding, mass entertainment consuming citizens with a fire in every hearth and a chicken in every pot. Might I point out the obvious negative side to this metaphor? Civilization itself begins with a theft. And it seems to me that it’s been stealing from us ever since. We abandoned the uncertainty of the darkness for the safety of the light, exchanging the complexity of essence for the simplicity of appearance. I suspect, not long after we stole daylight, we needed to invent alcoholic beverages, a hypothesis I promise one day to investigate. Nonetheless, we should still drink a toast to those brave mythological heroes that took the chance, and decided that an illuminated existence might be worth investigating, for as Carl Jung observed, “As far as we can discern, the sole purpose of human existence is to kindle a light in the darkness of mere being”. More immediately applicable, here’s a tip. If caught pilfering daylight in the future, make sure you’ve practiced the phrase, “I didn’t steal this, I found this sun underneath my jacket, Kojak”. Benedict, Ruth, 1887-1948. Zuni Mythology. New York: Columbia university press, 1935. Chamberlain, Alexander. “Notes on Some Aspects of the Folk Psychology of Night”. The American Journal of Psychology v19. Urbana: University of Illinois Press, 1908. Coffin, Tristram Potter, 1922-. Indian Tales of North America: an Anthology for the Adult Reader. Philadelphia: American Folklore Society, 1961. Crawford, John Martin, 1845-1916. The Kalevala: the Epic Poem of Finland. New York: J.A. Berry & company, 1888. Thompson, Stith, 1885-1976. The Folktale. New York: the Dryden press, 1946. Witzel, Michael. “Vala and Iwato: The Myth of the Hidden Sun in India, Japan, and beyond”. Electronic Journal of Vedic Studies, 2005.